Secrets to becoming a millionaire! 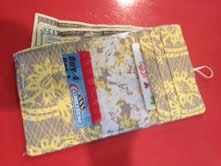 Step 1: Make your own wallet in some stylish fabric. 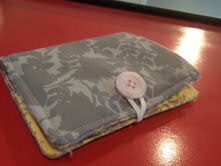 Stephanie made this adorable wallet in sewing class. and you still have room for all that cash!